Performed by our skilled surgeons at The Plastic Surgery Center of Austin, facelift can dramatically revitalize your facial appearance. Over time, aging, gravity, sun damage, and stress can cause the face to lose its youthful form and elasticity, resulting in the formation of deep creases, folds, wrinkling, laxity of the jaw line, and droopy cheeks. Fortunately, facelift allows for the youthful contours of the face to be restored. Facelift surgery, also called rhytidectomy, can improve the most visible signs of aging from the inside out by tightening the underlying muscles of the face, removing deposits of excess fat, and re-draping the facial skin, making it appear firmer and tighter. A facelift can be performed alone or in conjunction with other procedures such as a forehead lift (brow lift), eyelid surgery, or rhinoplasty (nose reshaping surgery) for patients desiring more extensive facial rejuvenation. The aesthetic results of facelift depend upon skin thickness, the level of skin elasticity, and the patient’s unique facial structure. Most patients who come to our office for facelift are extremely pleased with their results. Our skilled surgeons are careful to keep the results of this procedure looking natural by minimizing potential scarring and preventing the skin from being overly tightened. Patients can emerge from this procedure looking youthful and refreshed, with an appearance that has been gracefully enhanced rather than dramatically changed. 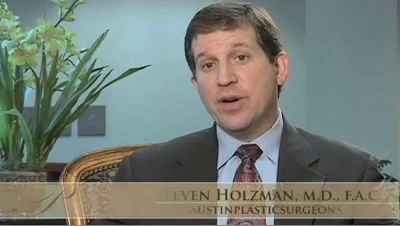 Contact The Plastic Surgery Center of Austin for more information about facelift surgery or to schedule a consultation with one of our outstanding surgeons, David Mosier, M.D., F.A.C.S. or Steven Holzman, M.D., F.A.C.S.